This is the 2nd printing! Alea Iacta Est - The die is cast! Beneath the walls and towers of adventure, beneath the ground upon which the adventurer treads, lies the foundation. The foundation holds the construct, which drives the challenges, which brings the flavor of a world's imaginings to light. It is the maelstrom of creation through whose eye the game of heroic chance plays out. 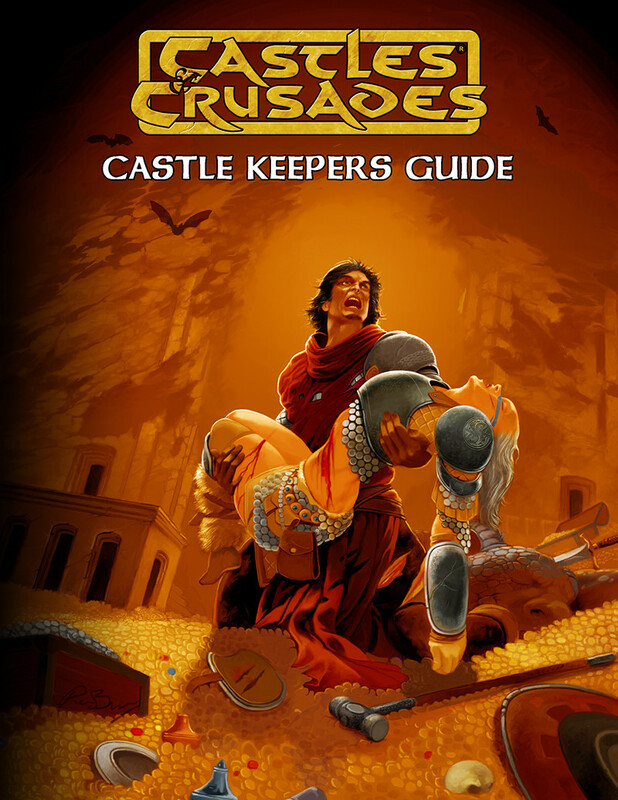 The Castle Keepers Guide includes a host of new material for the role playing enthusiast; from world creation, to dungeon designs, managing non-player characters, character attributes at high levels, spell use and cost, equipment its use and wastage, the tumult of storms, from warfare to combat, monsters, treasure, death and more. The Castle Keepers Guide provides the CK and the Player with a host of new tools for their use; tools designed to enhance play, not hinder it; designed to be malleable from gaming table to gaming table. The CKG is the perfect expansion to everyone's table.